Sha Chi and Si Chi, low feng shui energy levels are referred to as bad feng shui. Learn more about bad feng shui so that with a few simple pointers, you can ward off negative energy from your living space. After all we are surely affected by the environs that we live in and it has a bearing on our relationships, health and ability to lead a prosperous life. The movement of chi or positive energy inside your living space can be compared to a flowing river, gentle yet steady. This balanced ambience creates an environment that is conducive for people to thrive. If your room has furniture that blocks natural movement of energy, it might lead to stagnant chi. Chi can also be thought of as wind, flowing freely and smoothly. The movement can be gentle or harsh. 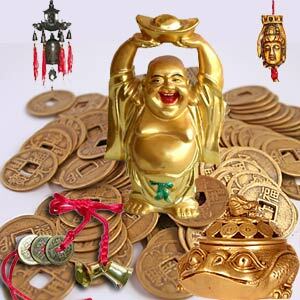 Sha Chi: Referred to as killing or attacking energy, this bad feng shui is created outside by the sharpness of structures that point to your main door or windows. Sha chi is created inside the buildings too, especially in a sharp wall angle. Si Ch: Referred to as lifeless and dead energy, this can lead to illness and depression for the household. This kind of negative energy is usually potent with human tragedy and brings on bad vibes. Living for long in an are with too much negative chi can have a bad effect on one's health. When we understand how the chi forces work, we can use them to best advantage in our homes and working spaces. You can use your living space so as to stimulate the flow of good chi and minimize or mitigate the effect of negative chi. Be it in love, luck or health, this can have far-reaching effects. Clutter is the indication of negative energy. Keep your home neat and clean. Piles of dirty clothes on the floor or unwashed plates in the sink are reflective of stagnant energy. Bathrooms constructed in the center of the house are a sign of bad chi. Poison arrows or sharp corners that cut into your furniture, wall corners, or desk are places of bad chi accumulation. Using light fabric or placing a plant in the arrows path can soften the edge. 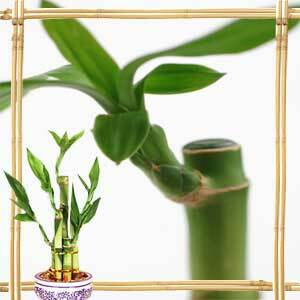 Plants in the bedrooms tend to put off active energy and hence they should be placed outside. Having a bed under a window affects the energy around it. It is likely to provoke feelings of sadness and despondency. Never have the bed aligned against the wall. It does not allow energy circulation and leaves you feeling vulnerable and not sufficiently rested. Besides, it affects your relationship adversely. Avoid exposed beams in your bedroom or over a couch. It is considered inauspicious for relationships. Exposed beams are also associated with health issues; especially headaches. Mirrors reflecting the bed are believed to activate the bad energy in the space. To clear your bedroom or sleeping area of bad chi, clear up the area of all clutter. Let not your bedside table be piled with books and junk, Expose the bedding and pillow to bright sunshine. Lighting a fragrant candle or incense adds to a positive ambience. Do not position a bedroom over a garage. The unsettling energy is not suitable for a bedroom that must be restful and relaxed. Front doors facing the back door are a sign of bad energy since they drive away all the good energy flow. Unruly cables and wires in a home office or workplace attracts bad energy or negative chi. Try to camouflage them in cord covers or containers. Keep the unsightly mess of dangling wires to a minimum by attaching them to the back of furniture. Dark areas or corners are signals of bad energy. Try to add some light or place some plants that require low lights in these areas. First Published Date: 16 Jul 2009 Last modified Date: April 25 2019 This page may have been updated recently as new information is available or the content may have been edited for better readability.